Bankruptcy refers to an organization or an individual’s inability to pay the debt they owe. Filing for bankruptcy sometimes ensures that you may not be facing a court hearing but does not entirely clear you from your transgressions. You will be assigned a trustee who will review your case under the Section 341 Meeting of Creditors (US Law). The Trustee will ask you questions relating to the case and you must be clear about your own condition before delivering any answers as it can have serious implications for you. Get familiar with all bankruptcy details. Reviewing your situation carefully will help you tackle all the questions thrown at you. Your lawyer will accompany you but it is better to handle some of the questions yourself in order to convince the trustee that you know a fair deal about the case. 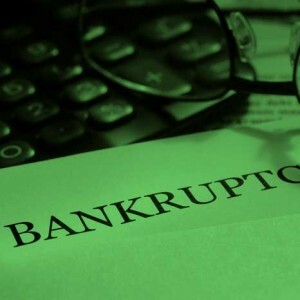 Know which bankruptcy you have filed for – liquidation, administration or restructuring. It is important, as the trustee may inquire as to your reasons behind choosing the particular type. Set up a question and answer session with your attorney or attend meetings of other debtors. Gauging their responses will be helpful when your time comes to face the music. Also get some information on the trustee who has been assigned to your case. Speak clearly and be honest. A record will be maintained by the trustee himself, which will be presented as proof. Also you will be under oath, so speak only the truth. Any inconsistencies found will lead to a dismissal of your petition. A possible jail term will follow. Hand out sufficient information. Don’t be too eager to speak out, but offer enough information which satisfies the trustee. Your main aim here is to avoid a hefty jail sentence or other personal penalty; therefore it is necessary to provide details that are related to your case. Additional information could work against you. Make sure that the trustee is satisfied and convinced after he has listened to your side of the story. Moreover, listen to what he says. In most cases, it takes a considerable amount of time to reach a conclusion, so you may be required to attend several meetings. However, in certain scenarios a one-time meeting may prove enough.